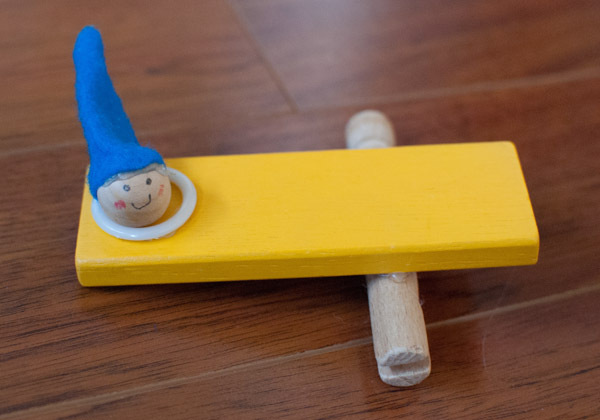 Make your own Gnome Catapult using objects you just might have at home. Ready, aim, fire! This was one of the first crafts I pinned on Pinterest over a year ago. 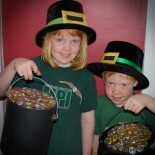 The kids and I made it right away and had a lot of fun. They rediscovered it the other day and made up new games. Cut out triangles of felt to use as hats. We used paper first to see what shape and size to use. You can sew or glue them shut. Glue them on the wooden beads. Have your child draw faces on the wooden beads. 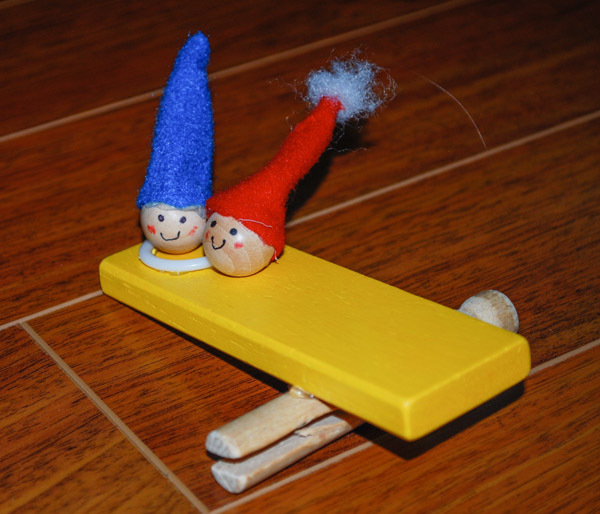 Glue a clothespin or similarly shaped object under the block, about an inch from the end. On the opposite side, glue a washer or plastic ring or bottle cap. This will hold the gnome. Test your device and launch your gnome! Aim for the egg carton. 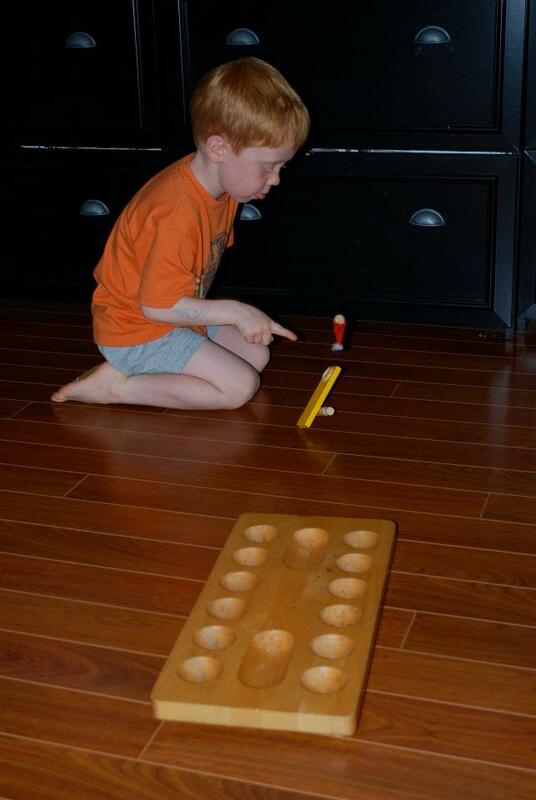 Your child can add points to the bottom of the eggcups if you’d like to include a bit of math. *** Thanks to kleas.typepad.com for the idea! 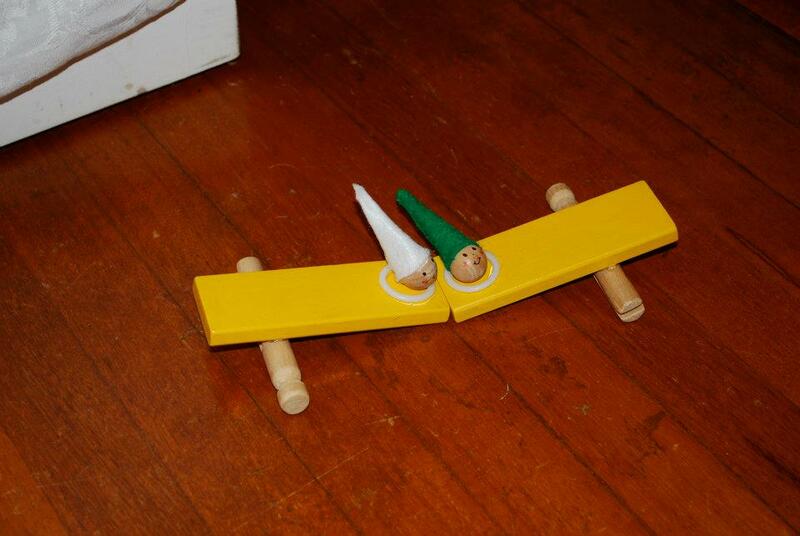 This entry was posted on February 16, 2013 by mdaucello in Elf on the Shelf.